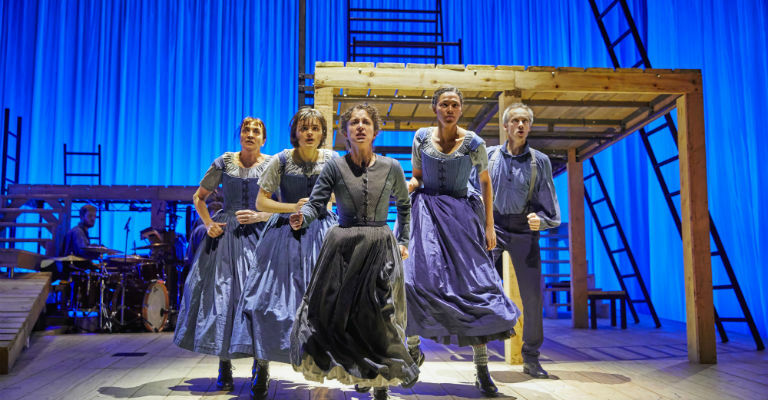 Based on Charlotte Bronte’s masterpiece, the National Theatre are taking their latest production of Jane Eyre on the road after a critically-acclaimed season. Directed by Sally Cookson and developed in collaboration with Bristol’s Old Vic, it tells the story of Jane in an innovative and dynamic way. As our heroine searches for freedom and fulfilment on her own terms, Jane must fight against poverty, injustice and utter betrayal before she can truly follow her own heart. This bold new spin will keep fans of the novel and newcomers to the tale equally enthralled. It’s Bradford, and it’s the month of Ramadan. Against the backdrop of a grooming scandal, garage mechanic Shaz is desperately trying to keep his business running so that he can marry well. Meanwhile, his sister Samina is determined to make her voice heard, even in this combustible atmosphere. Bradford-born playwright Asif Khan’s new work (his debut play no less) is set to be a comic, satirical take on what it’s actually like to grow up as a young British Muslim in the North today. It’ll make you laugh, but it’ll also make you think about issues of race, religion and identity in the modern age. Yes, it’s a second dose of the Charlotte Bronte classic, but this one’s got a twist! If you want a change from sitting in a darkened theatre, especially on these warm summer evenings, then Middleton Lodge have you covered. Bring your deck chairs and travel rugs along for an evening of open air theatre magic, as we follow the story of Jane as she finds herself working as a governess at a mansion owned by the dark yet fascinating Mr Rochester. Outside a Georgian country mansion is the perfect setting! In 2013 a group of documentary photographers from the Durham area got together to form Portraits From The North East, a project that would see them photographing 100 people of significance from across the region. The travelling exhibition now comes to Arts Centre Washington until 12th August, and will highlight their work in capturing North East life in a simple but highly effective manner. The group are currently working on documenting craftspeople living and working in the region, including glassblowers, blacksmiths, makers of musical instruments and many, many more. These images will be on display to show off just some of the work being undertaken by the myriad of craftspeople in the area, giving a fascinating insight into the skill the region has on offer. For well over 50 years, LEGO has been at the forefront of the toy industry, and even today its simple yet imaginative design captures the hearts of both adults and children alike. This new exhibition at the Head of Steam Museum in Darlington, which runs until 3rd September, is set to celebrate the little bricks and give just a small taster of what can possibly be achieved with the construction toys. Whether you’re a LEGO enthusiast or just want to see the artistic and architectural feats that can be achieved by placing a few of the little bricks together, then the Head of Steam is the place to be. An exhibition surrounding contemporary artist Jeremy Deller’s work ‘The Battle Of Orgreave (An Injury To One Is An Injury To All),’ which featured almost 1000 people re-enacting one of the most vicious conflicts of the 1984-5 Miners’ Strike, has been on display at Woodhorn since March. Its final day is on 9th July though, so if you haven’t already been able to see the exhibition, which is just as tied to Woodhorn’s own mining heritage as it is the contemporary art scene, then you’ve only got one week left to do it!